run, zoe, run! : Do you Whooga? I'm so excited to be reviewing a pair of Whooga Ugg Boots right now! I wasn't aware that the term "ugg boot" was about a TYPE of footwear: sheepskin. I thought it was a brand. Not true! 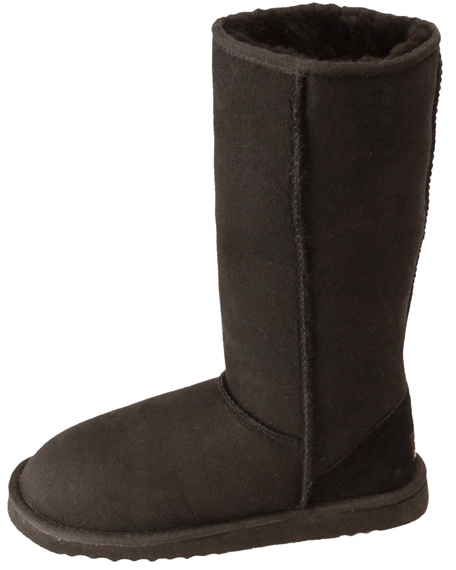 There are a bunch of ugg boot makers located in Australia, and Whooga is a premium manufacturer of a genuine sheepskin ugg boot. FINALLY, here's the deal: if there is enough buzz generated by my site/review of the product, there could be a chance at a giveaway of a pair of boots. How awesome would that be?! So please be sure to check out this great company and their product HERE. In the meantime, if you fall in love with the a pair of Whooga ugg boots before reading my review, you can get 10% off your order by using the coupon code 1402ZOERUN at checkout. Sweet. I am an ugg FREAK and would DIE to review and try a pair!!! How did you get picked?!?!? I have yet to own a pair of uggs, but I am always thinking it would be so nice to just slip on a pair to run errands! Icy Runs, Dead Mice and Two "Abreast"
51% OFF See Jane Run Half Marathon! Guest Post: Get Healthy as a Family, Dance! Guest Post: Water Can Save your Knees! Nekkid Semis in the Mail!